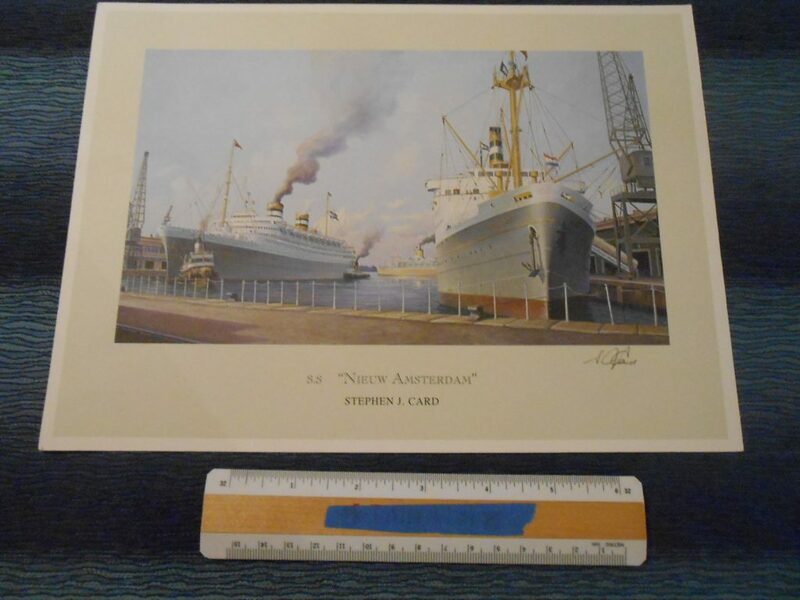 Outstanding 8x11 Nieuw Amsterdam print ( also featuring the Maasdam and a corn colored hulled Orient Line ship in the background). Excellent condition and signed by the artist. Printed on heavy stock and would be perfect framed.